Mirecourt, France. Where the Seeds of French Bow Making Were Sown. In the twenty-first century, violin makers (luthiers) and bow makers (archetiers) are usually two separate people with skill sets that are very rarely combined. 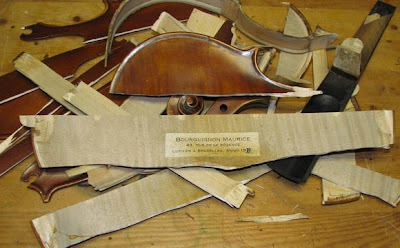 It would seem that a luthier would be interested in making the bows that go with their instruments, but bow making is entirely its own occupation. Written by Andy Fein, Violin Maker and Owner, Fein Violins, Ltd. Many of France's best violin and bow makers from the 1700s to the present day share a very similar biography - Jacques (or Jean-Baptiste, Jeanne, Rene', Renee', Andre', Emile, etc.) were born in Mirecourt where they learned the trade from their father (or uncle, grandfather, brother,mother, sister, etc.). Starting at about age twelve, they worked at the bench with their family making instruments and bows... A shop owner in Paris (Vuillaume, Chanot, Caressa, Francais, etc.) heard of their talent and invited them to come to Paris. In Paris they received great acclaim for their work... Or didn't, so they slunk back to Mirecourt and toiled away in one of the production workshops there. The Saint Paul Chamber Orchestra is one of the best cultural assets in Minnesota. 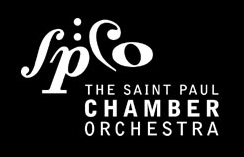 Located in our shop's city (Saint Paul, MN), the SPCO is one of a very few professional chamber orchestras in the United States. The Saint Paul Chamber Orchestra was established in 1959, and for more than 50 years, they have accomplished a tremendous amount in their music, and in their collaboration with soloists, composers, artistic partners and conductors. Carnegie Hall's National Youth Orchestra of the U.S.A.
How do you get to Carnegie Hall? I don't even have to fill in the answer. Every musician already knows this joke. How about if you're a teen, ages sixteen to nineteen? The answer's the same, except now you can become part of the National Youth Orchestra of the U.S.A. In this era of so many great women violin soloists, Anne-Sophie Mutter, Rachel Barton Pine, Hilary Hahn, Lara St. John, Anne Akiko Meyers, Sarah Chang, Midori, Nadja Salerno-Sonnenberg and many others, it's hard to imagine a time when being a woman violinist and trying to make it as a soloist was very, very difficult. Solely because you were female! That time was not very long ago. The first half of the twentieth century was a rough time for women violinists and it stayed that way at least through the 1960s! In recent blogs we have focused on the city of Cremona, Italy, the renowned violin-making hub that gave us the names Amati, Stradivarius, and Guarnerius. While Cremona is certainly the nexus from which much of violin making history resonates, attention must also be paid to the city of Venice, renowned for its rich musical culture as well as its violin makers. 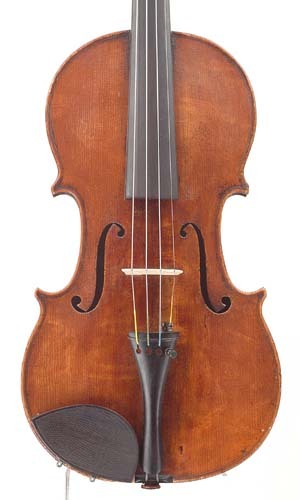 The political and economic context of Venice played a significant role in the development of its violin making culture. Venice was a "cultural crossroads" for commerce and art, with Saracens, Arabs, and Greeks rubbing shoulders with Europeans. The city was always staunchly independent from its European neighbors, hesitant to enter into long term alliances and agreements. The focus of Venetian politics was on propagating its trading culture, which flourished and made the city one of the mercantile centers of the world. Venice also maintained its independence from the Roman Catholic Church to such a degree that one of the popes excommunicated the entire city. This was later reversed. This independence resulted in two fundamental differences between the violin making cultures of Cremona and Venice. Whereas Cremona's fame derived from its provision of instruments to the courts of European royalty, Venetian makers made instruments for all classes of people, rich and poor alike. 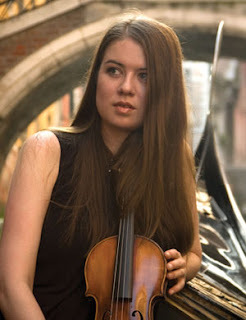 Additionally, the lack of church connections meant that Venice didn't benefit from the influences that spurred the development of the Cremonese violin designs. Consequently, the famous Venetian makers appear slightly after the rise of the Cremonese makers. One of our favorite violinists hails from Canada. 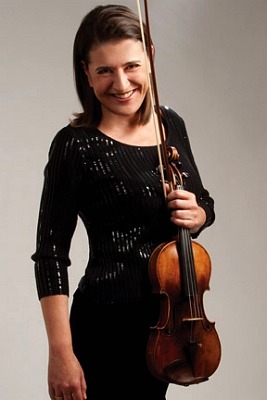 A violinist who has mastered performances for a lifetime, Lara St John has had a natural talent for the violin since she was young. Her talent bloomed into a career that has given people all over the world the opportunity to hear the true beauty of this instrument. How is her first name pronounced? As she says on her Facebook page, "Pronounced Lara. Exactly as spelled. (there is no 'u' in my given name). Like bar, like car, like star".